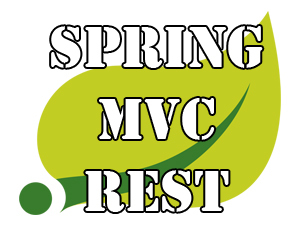 This is a final, third part of Spring MVC REST tutorial with CNVR. Here I will demonstrate how all that stuff works, which I have developed within first two parts. 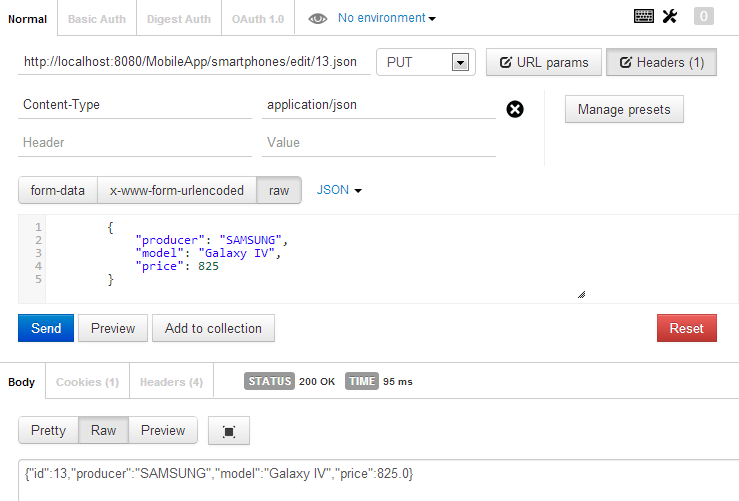 Here will be four sections for each type of CRUD operations: CREATE, READ, UPDATE, DELETE. As a pre-requirement you need to install any REST client for a working with a REST requests. On the image above you can see completed CREATE operation. Let’s consider the most essential parts of it. 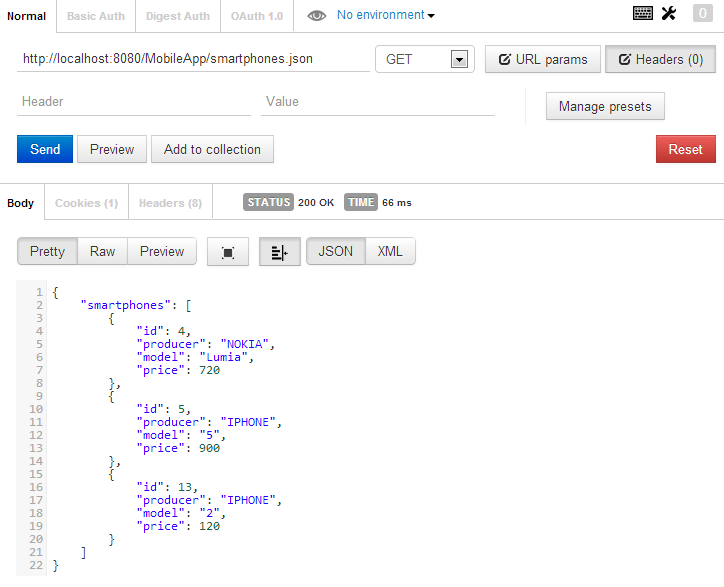 That’s mean that the method will work just with JSON. Spring permits to set multiple types for “produces” and “consumes” attributes. The second operation will show how to select some records. 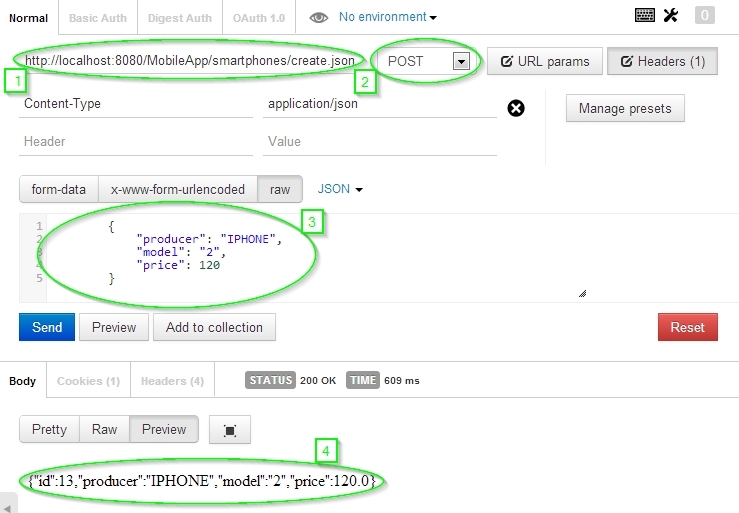 In this case I just used the HTTP GET request and it returned to me a list of existing smartphones in JSON format. A HTTP PUT request as a HTTP POST request should have body content to be have information about updating data. In the most straightforward case HTTP DELETE request just need to know ID of entity which will be removed. 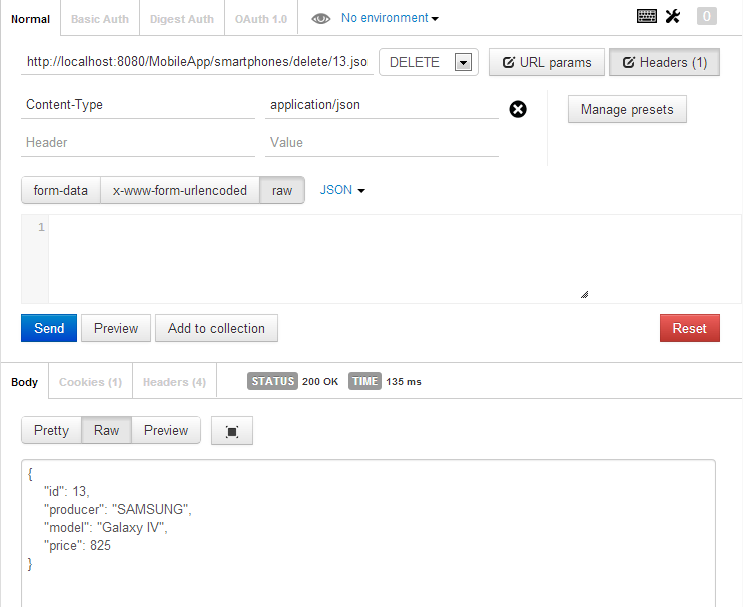 As you see everything goes as in previous examples except HTTP request type, which was changed to DELETE. But as you remember I have developed some methods in the controller which return ModelAndView object. Hence you can do the same operations through a web interface. 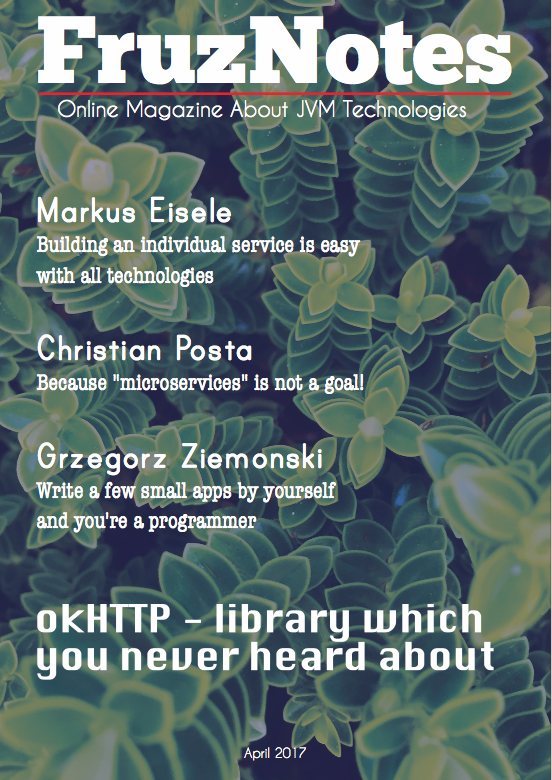 It was very challenging for me to write these tutorials. I covered here just a top of the “REST” iceberg. In the future I will write some articles about AJAX, exception handling and other cool stuff related to the REST.